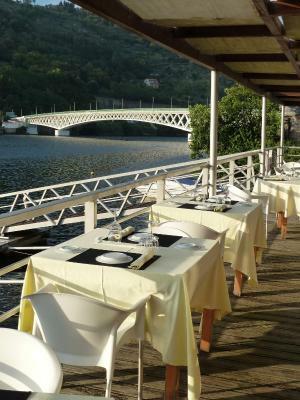 Lock in a great price for Douro Hotel Porto Antigo – rated 8.9 by recent guests! Beds too low. Picture kept falling off the wall in room. I had to change rooms 3 times a first had leak in bath tub and second smelled of smoke. Thither was fine but although place was in beautiful spot it was far from the wineries. the view upstairs was fantastic. the reception personnel were great. Awesome place, I wanted to stay a week to relax instead of a night for business. perfect, amazing location. 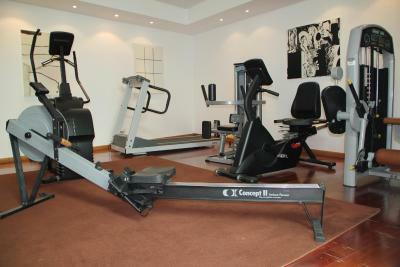 Staff is very nice and rooms spacious and confortable. Beautiful hotel in a charming location. Friendly staff. Lovely location. 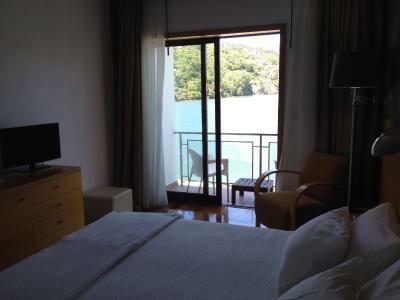 Super confy beds and view was amazing from the room. Very good breakfast. 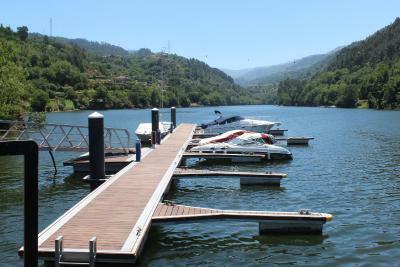 Location on the river and the beauty of the surrounding area. Friendly staff and lovely views. Good food but a little overpriced. 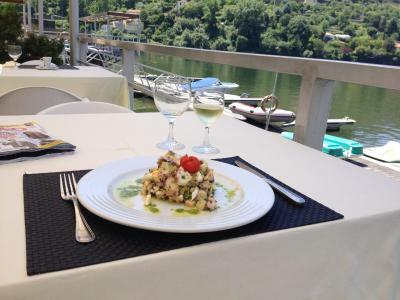 The location by the river was excellent. The staff were friendly and helpful. We hope to be able to return and stay for longer. Staff was very helpful. They have bikes and kiaks for free. Area is great for small tracks. 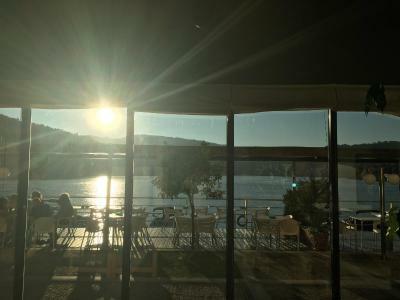 Douro Hotel Porto Antigo This rating is a reflection of how the property compares to the industry standard when it comes to price, facilities and services available. It's based on a self-evaluation by the property. Use this rating to help choose your stay! 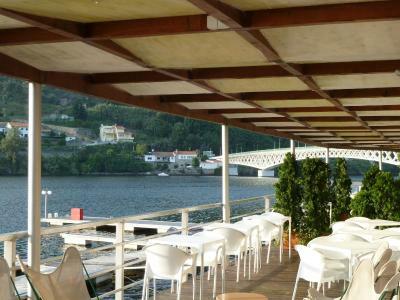 Nestled along the Douro River, Douro Hotel Porto Antigo. is housed in a historic building. 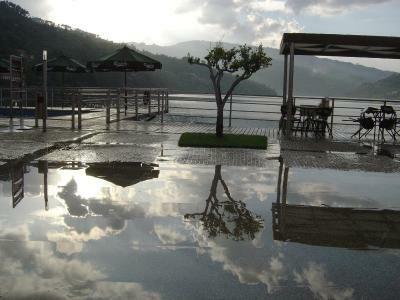 It features an outdoor swimming pool, in-house massages and a restaurant serving European dishes. 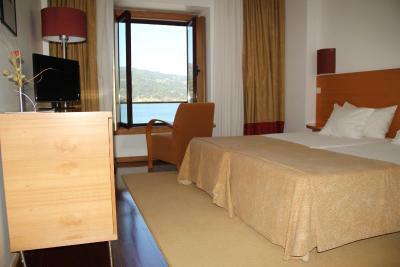 The air-conditioned rooms at Douro Hotel Porto Antigo. 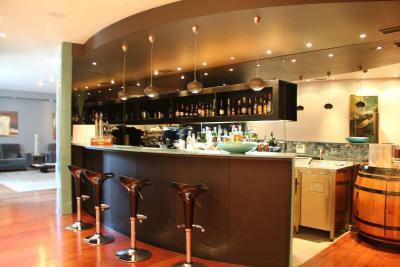 have modern amenities, including a mini-bar and satellite TV. 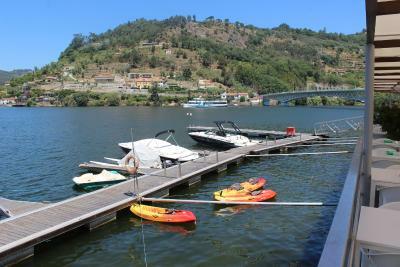 Most rooms have panoramic views of the Douro River. Some rooms have a private balcony. 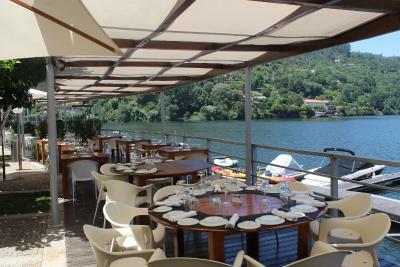 Guests with boats can dock right in front of the Porto Antigo and enjoy a free glass of port on the terrace. 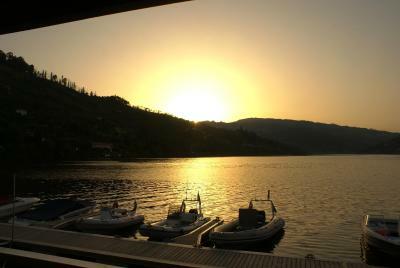 The hotel also offers various trips and activities such as boat cruises, kayaking, and canyoning. 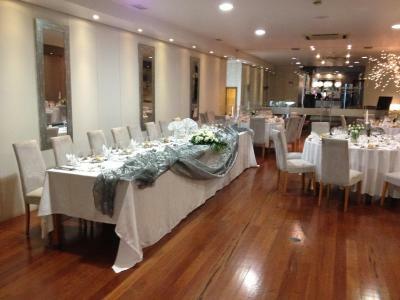 Restaurant Serpa Pinto serves traditional Portuguese dishes. 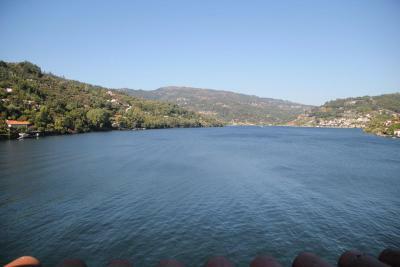 Mosteirô Railway Station is 0.9 mi from Hotel Porto Antigo, and The Oporto Airport is just a 60-minute drive away. Free parking is available on site. 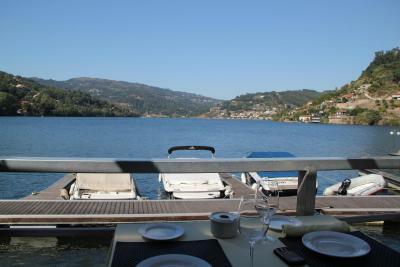 This property also has one of the top-rated locations in Cinfães! Guests are happier about it compared to other properties in the area. 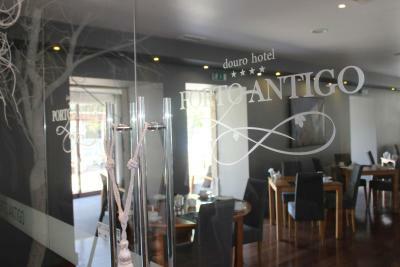 When would you like to stay at Douro Hotel Porto Antigo? 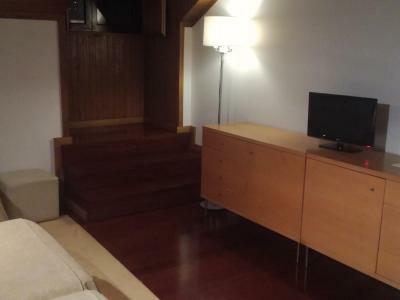 Air-conditioned room featuring a private bathroom with free toiletries, a satellite TV and mini-bar. 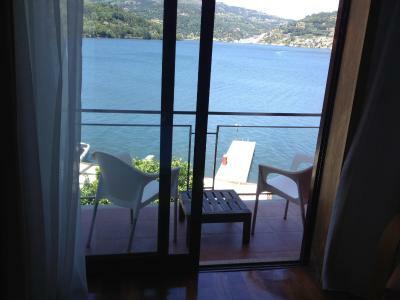 This room has a balcony overlooking the River Douro. 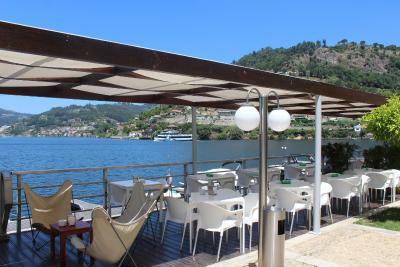 Air-conditioned room with views of the Douro River. 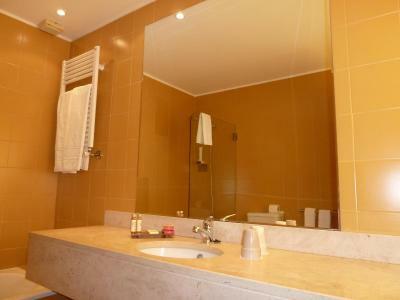 It features a private bathroom with free toiletries, a satellite TV and mini-bar. 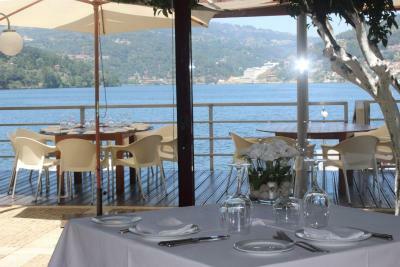 * Breakfast in the room or on the terrace of the restaurant. 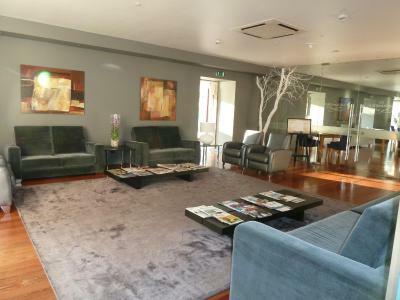 This family room features a satellite TV, sofa and air conditioning. 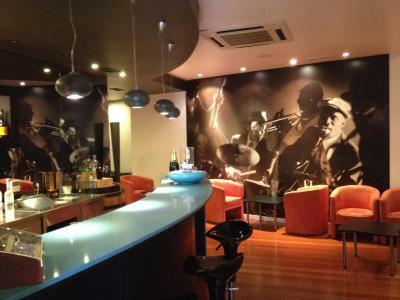 House Rules Douro Hotel Porto Antigo takes special requests – add in the next step! All children under 6 years are charged EUR 19 per night for extra beds. 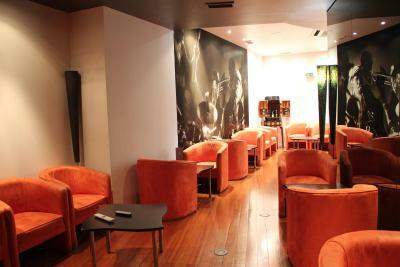 Douro Hotel Porto Antigo accepts these cards and reserves the right to temporarily hold an amount prior to arrival. One child from 3 to 10 years old is charged EUR 19 per night, per extra bed. 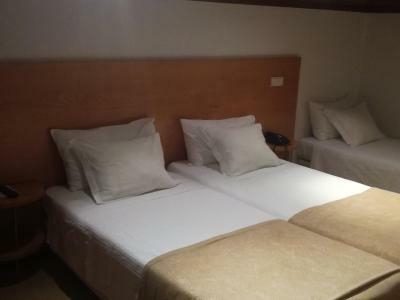 One older child or adult is charged EUR 38 per night, per extra bed. We didn't feel it was a 4 star. The bathroom tiles were grubby/mouldy and around the shower screen. There was no tea/coffee making facilities in the room which would have been useful in the cold weather. The staff had accommodated my gluten and soya intolerance as I had messaged in advance but on the second morning the staff brought gluten free rolls mixed in a basket with normal products and soya milk! It was only a coincidence that the soya milk was mentioned before I drank it - which would have been very unfortunate! Value food facilities.. and staff!!! The bathroom should be remodelled; small pool and area surrounding the pool; bad Wi-Fi connection in the room; the service in the restaurant and breakfast room should be better for a 4 star hotel; the hotel is located on a quite “remote” area. 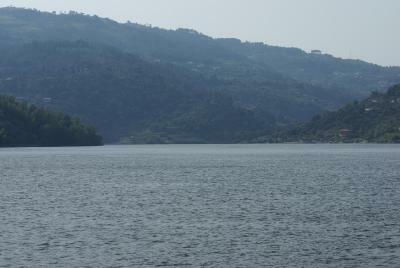 Open view over the Douro (here wider than a lot of lakes). 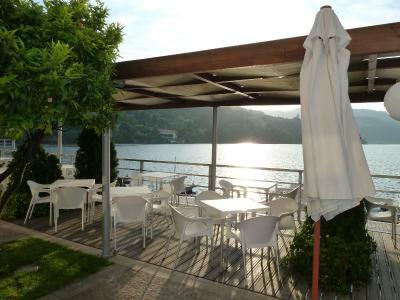 Also good restaurant with the terrace on wooden platform with the same magnificent view. Our room was on the third floor and felt that it was a bit outdated. Needs a revamp other wise comfortable! Our wifi did not work on the third floor in our room! 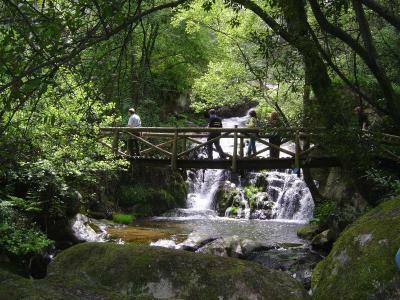 The location was great, it is on the river-edge. It has a outside swimming pool. Facilities are good and looks modern. You can rent a kayak or boat! Breakfast is a hot and cold breakfast with reasonable variety.